Click on the holiday and history links for more information. Spring is arriving. 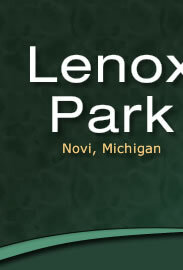 At Lenox Park that means an annual start of activities will be underway. Painting of Condo units is starting and the contractor will leave a note to inform the resident. In order to clean before painting, residents are requested to turn on their outside water faucets. Landscape and Irrigation will be starting soon. Additionally, hot rubber crack filler will be completed on the roads, as well as filling the joint between the curb and driveway aprons. The Board retains records of bylaws, policies, and Board meeting minutes. These documents are retained and available on the Association website. Likewise the management company, Kramer –Triad retains records. The Board is in the process of preparing a record retention guideline. Drafts will be reviewed at subsequent Board meetings. The Board meeting minutes are retained and are available to new Directors. With the recent thaw in the weather, it has made the excavation process a little smoother regarding the evergreen root ball reduction, as many of you may have seen throughout the site. We should be finishing this up within the next week and a half to two weeks, weather permitting. Then fertilizing said trees soon afterward as soon as ground temperatures are at optimum conditions. We also have some concerns with the weather we have had this winter, warmer than normal temperatures in December to part of January. Then the twenty to thirty degrees below zero temperatures sporadically throughout February. There could be the possibility of some tree's buds, not opening/pushing leaves late this spring. This can vary from tree to tree. Hello all, Last night a handful of us went to the Novi City Planning Commission meeting. I presented as did one other on behalf of the neighborhoods that border on Fox Run. We were told quite brusquely by the chairman that no questions were allowed in that forum. Thankfully members Anthony and Avdoulos (sp?) asked very pointed questions that not only acknowledged our concerns but addressed the things we wanted to ask and more. We appreciated their recognition that wetlands and woodlands should be protected and determined that only .03 acres were going to be effected. Having said that, all revisions being asked for by Fox Run were approved. Now here is the really great part....once the meeting moved on to other matters and we all got up to leave, 3 wonderful gentlemen came out to help explain and clarify the concerns we were evidently struggling with. This weekend there will be a great deal of traffic going in & out of our community. Pastor Jamie is doing everything he can to accommodate our needs & the traffic created by the Easter services. The mailbox area will be used by Brightmoor Church for additional parking during the Easter Services. PLEASE BE PATIENT WITH ALL THE TRAFFIC CONGESTION THIS WEEKEND. Like to know if any people are interested in golfing this summer. Depending on interest we could form a few foursomes. We would play 9 holes at various courses around the area. I would be the contact. Renee Panther emailed me to let everyone know she spotted 2 coyotes running across Lenox Park Drive near 40517 & 40521 around 1:00 am on Wednesday morning. BEWARE & BE CAREFUL, especially if you're out with animals or small children. We have a lot of wild life around our community so always be alert. This honor doesn't come by accident, and we sure are proud of it. A huge thank you to the men and women of the Novi Police and Fire Departments for their commitment to building public trust and keeping out community safe. We are the only Michigan city in the Top 10 and will continue to work to see how we can climb even higher.